Prior to Leithead forming his own governmental relations, entitlement, and consulting firm, he was responsible for leading Cousins Properties development efforts as they relate to entitlement issues throughout the Atlanta region. He served as liaison for Cousins with the various county and city governmental entities and project related community-based organizations. He has 28 years of experience in the Atlanta commercial and real estate market and has leased some five million square feet of office and retail space. As a founding partner with Childress Klein Properties, Mr. Leithead was instrumental in the operation of the Atlanta Galleria, one of Atlanta’s premier mixed-use developments. He was a key participant in the development of Cobb Galleria Centre – a 300,000 square-foot county owned convention center. 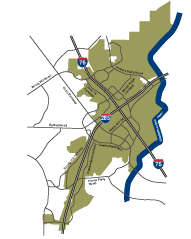 In 1998, Leithead formed Urban One Associates, a development and transportation consulting firm, working with Midtown Alliance, Perimeter Center, Gwinnett and Cobb Counties, and others in the formation of several new Community Improvement Districts (CIDs). He was a principal in the development of Ridenour, a 90-acre “Smart Growth” community in northwest Cobb County – which received the Atlanta Regional Commission’s “Development of Excellence” award in 1999. From 2009 to 2012, Mr. Leithead served two terms as Chairman of the Atlanta Regional Commission, a 39-member board that steers the planning and development for the 10-county metro Atlanta region. He also served on the ARC board from 2000 to 2012, and was Chair of its Transportation & Air Quality Committee from 2007-2009. Leithead is the Chairman of the Cumberland Community Improvement District, formed in 1988, a self-taxing group of commercial property owners that have leveraged nearly $240 million in local dollars into an estimated $2.5 billion in constructed projects. In 1994, he served as Chairman of the Cobb County Chamber of Commerce and also received the Lockheed Corporation Management Association’s “Manager of the Year” award. Additionally, he serves on the Boards of Directors of the Fulton County Perimeter Community Improvement District and the North Fulton Community Improvement District. He is past Chairman of the Board of the Walker School. Mr. Leithead is a resident of Fulton County and graduated with a B.A. from Washington and Lee University. Malaika Rivers is responsible for leading the efforts of the Cumberland Community Improvement District (CID), located in the Cumberland submarket in northwest Atlanta, Georgia. The Cumberland CID is the mechanism by which the area’s commercial property owners – the private sector – invest in public infrastructure to protect and increase their property values as well as better the entire community. With 24 years experience, Rivers works with commercial investors, developers, government partners and other stakeholders by improving the transportation infrastructure and services. Seed funding by the business community is raised through annual assessments on commercial property owners in the district. This money is then leveraged against public funds and collectively reinvested back into the community. With two dozen capital projects valued at a quarter billion dollars, Rivers is delivering a 500% ROI on the CID’s current work program of roads, bridges, streetscapes, trails, beautification, parks, transit and other infrastructure projects. Rivers began with the Cumberland CID in 1996. She has helped the business community leverage $140 million into an estimated $2.5 billion in capital improvements through this public-private partnership. The CID’s success has contributed to an explosion in property values; $3.5 billion in real estate asset value added since the CID’s inception. Further testament to the CID’s impact is the $670 million increase in property values since the Atlanta Braves decision in 2013 to develop a next generation MLB stadium and mixed-use development in Cumberland. For the past three years Rivers has been named a “Notable Georgian” by Georgia Trend magazine (2015 – 2017), a “25 Power Women to Watch” by Atlanta Woman magazine, a “40 Under 40” by both Georgia Trend and the Atlanta Business Chronicle, and a “Woman of Achievement” by the YWCA. 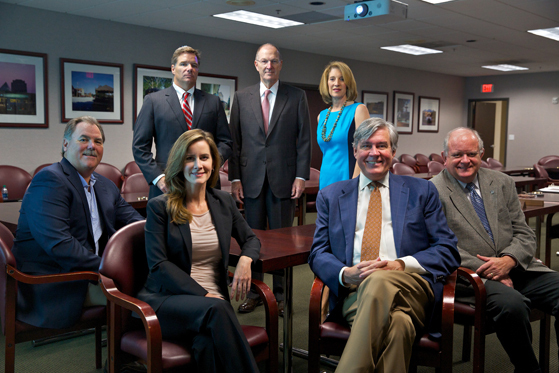 Rivers sits on the Board of Directors for the Georgia Chamber of Commerce, Council for Quality Growth, and the Livable Communities Council. She is active with the Urban Land Institute and a member of Lambda Alpha International. She sits on various regional committees and is a graduate of the Regional Leadership Institute as well as Leadership Cobb. Rivers has also served as an appointment by the Speaker of the House of the Georgia House of Representatives. Under Rivers’ leadership, the CID and its initiatives have been recognized and awarded nationally and internationally by the US EPA, US & Georgia DOTs, Institute of Transportation Engineers, International Downtown Association, Georgia Planning Association, Association for Commuter Transportation, as well as notable coverage by the Wall Street Journal, National Public Radio, ABC World News, and more. Prior to her current position, Rivers was with the Atlanta Regional Commission and before that, with private industry in Washington D.C. and Northern Virginia. Rivers is a graduate of Virginia Tech and lives in Atlanta, Georgia with her two children. The Director of Operations is primarily responsible for shepherding capital projects through a planning and development pipeline which is typically multi‐year and with government mandates. There are three critical areas of responsibility for the position, 1) oversee the CID’s portfolio of projects and collaborate with internal and external partners, particularly consultant teams, to ensure that stakeholder investments are managed wisely, 2) provide direction on the CID’s engagement in governmental planning procedures to ensure the CID’s strategic interests are well positioned, and 3) oversee internal protocols to ensure all deliverables are achieved in a timely fashion and that information is synthesized for the Executive Director and other decision makers. The position reports to the Executive Director. The CID operates through the Cobb Chamber of Commerce, which provides administrative and staff support. Noelle Lloyd is the Manager of Communications & Outreach for the Cumberland CID. Her primary responsibilities are managing marketing and outreach strategies and initiatives. Noelle holds a Bachelor of Arts Degree in Corporate Communications with a minor in Broadcast Journalism from Northern Illinois University as well as a Master of Science Degree in Written Communication from National-Louis University. Noelle most recently worked as a Marketing and Public Relations Consultant where she created and managed communication strategies for small businesses. Lloyd also worked as the Marketing and Public Relations Manager for the DeKalb Chamber of Commerce (Chamber). During her tenure she managed all marketing and communication initiatives for the Chamber including website, social media, email marketing, media management, and event planning. Before relocating to Atlanta, Noelle worked as a Marketing Consultant for Loyola University’s Federal Credit Union. She increased general membership and created a marketing campaign that allowed over 20,000 students access to join the credit union. Lloyd created several marketing initiatives to improve and grow member services. Beginning in 2007, Noelle worked for WFLD- Fox News Chicago as a Media Coordinator. Her duties included field producing, satellite coordinating, and working the news desk. Lloyd interviewed elected officials and individuals throughout the Chicago-land area for the newscast and worked alongside producers and reporters to package stories. Roxanne Plummer is the Administrative and Special Projects Coordinator for Cumberland CID and her specialty is working for smaller companies and simultaneously performing multiple roles and duties. These duties include Accounts Receivable & Payables Manager with receipts of up to $25M a year, liaison to company attorneys, litigation preparation, Office/HR Manager, analysis and research, troubleshooting and project coordinator. She has performed these duties in the fields of advertising, public relations, and promotions and land development. At the CID, Plummer takes the lead on minor capital improvement projects, tracking and analysis of development and sales within the Cumberland area, assists or takes lead on boundary expansions, analysis and tracking of the Cumberland CID tax parcels, utilizes GIS and provides administrative and budget support among many other duties.